Narendra Modi will visit Bangladesh for the first time since becoming prime minister. Narendra Modi’s first year in office was defined largely by his jet-setting diplomacy across the world. When he was inaugurated, he foreshadowed that the primary target of his government’s diplomatic attention would be India’s neighborhood. In an unprecedented move, he invited the leaders of all South Asian Association for Regional Cooperation (SAARC) member states to his inauguration. He visited 18 states in his first year, but neglected Bangladesh, an important and populous neighbor for India. Acknowledging this oversight, Modi’s first trip abroad in his second year is to Dhaka, where he will arrive on June 6, 2015. Modi’s visit will be a show of appreciation for Sheikh Hasina’s beleaguered Awami League government, which has continued to maintain close ties with India despite growing criticism from opposition parties. Hasina has taken care to improve a relationship that suffered during the previous Bangladesh Nationalist Party (BNP) government, from 2001 to 2006. Recently, India and Bangladesh concluded the resolution of their long-standing border dispute, and last year, an international court helped the two neighbors resolve a similarly long-standing maritime dispute. Beyond these contentious issues, there remains a long list of topics that India needs to address with regard to Dhaka. For example, a water-sharing arrangement for the Teesta river is overdue. Notably, Mamata Banerjee, the chief minister of West Bengal, the Indian state bordering Bangladesh to its west, will accompany Modi on his trip — her refusal to cooperate with the central government had previously inhibited progress toward a water-sharing agreement. From the Bangladeshi perspective, India also owes some clarity on the easing of tariffs and non-tariff barriers for Bangladeshi goods. The Indian prime minister’s agenda as he sets out to visit Dhaka is broad and focuses equally on symbolic displays of strategic proximity as well as on important deliverables. 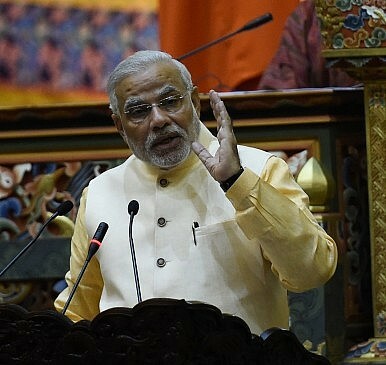 In a statement released by his office prior to his trip, Modi notes that he will meet with Hasina, attend delegation-level talks, and oversee the signing of several bilateral agreements — all with “enthusiasm and delight.” Modi will also oversee the unveiling of several India-financed projects and “pay tributes to martyrs of the 1971 liberation war at the National Martyrs’ Memorial.” The latter gesture should emphasize India’s role in helping Bangladesh secure its independence from Pakistan. The events of the early 1970s have returned to national prominence in Bangladesh in recent years, polarizing politics and pitting the country’s government against supporters of opposition parties and Islamist groups. As Harsh Pant wrote in The Diplomat recently, New Delhi hasn’t given Dhaka the sort of sustained and serious attention it merits, particularly given the relevance of Indian policy for Bangladesh’s domestic political situation. The outcome of Modi’s visit will set the tone for this important South Asian bilateral relationship for the coming years.